What I like about Japan is its cleanliness we can find everywhere, even in a toilet. Indeed, it's not only clean but also comfortable and luxury. It's a kind of refreshing room! ― No, please don't look at me like that, you will understand what I mean once you read this article. Wherever we go in Japan, public toilets are easy to find and they're always free to use. Oddly enough, when I visit to the brand-new/renovated facilities such as fancy restaurants, hotels and complex shopping malls, I like to check how beautiful their bathrooms are. For a good example, if you're in Tokyo and would like to buy nice clothing, shoes and Kawaii stuffs, I recommend you to visit Lumine Yurakucho, and go to any bathroom. You will feel like you're a bourgeois. 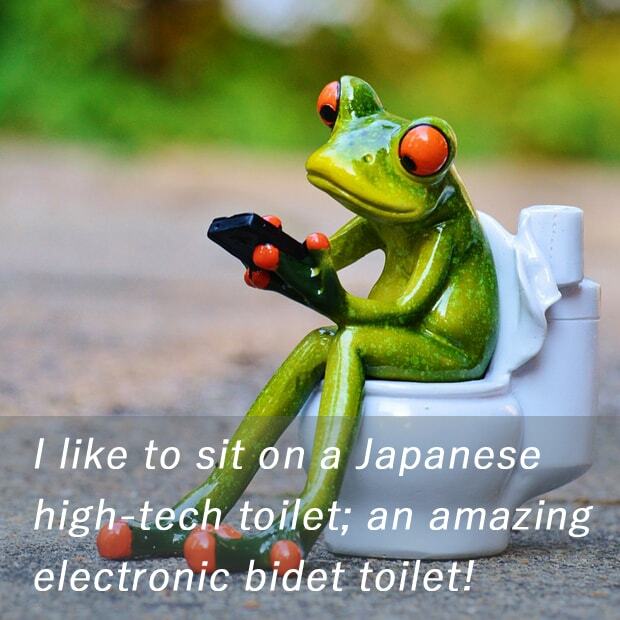 11 Reasons Why Japanese High-Tech Toilets are Awesome describes Japanese high-tech toilet almost perfectly; bidet/rear wash, blow dryer, seat warmer, auto deodorizer, antibacterial seat, over-toilet sink, Otohime - Sound Princess, automatic lid and etc. which all I like. Although, I need to add one more reason –the infrared auto flush sensor– to them. Yes, because I don't like to pull the toilet tank lever that many other people touched after their business. By the way, the following video is very funny and recommended to watch! Since I grew up in Japan, I started using the high-tech toilet with heated seat, washlet and bidet functions at home when I was 12 years old. Now I'm so used to it and can't go back to normal toilets so I was really surprised when I traveled to Europe which has the modern toilet and bidet origin. Maybe Japan went too far? Now 76% of households in Japan own high-tech toilets. If you get a chance to talk about Japanese technology, especially with your close foreign friends who never came to Japan yet, it might be a funny topic! Thank you for reading till the end. See you next time!